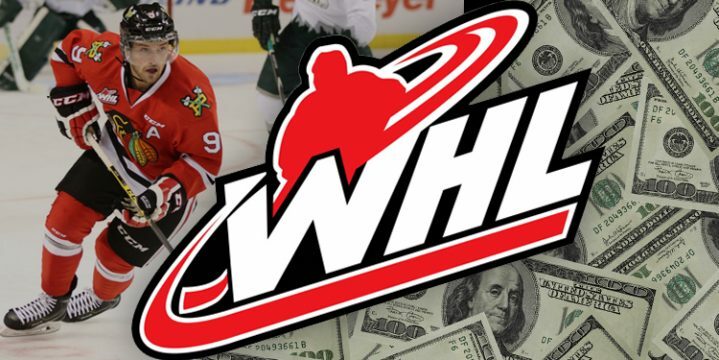 While the rest of the league braces for the upcoming race to the playoffs, the U.S. Division of the WHL had a serious shake-up this week in the form of some Washington State bills on the subject of minimum wage laws for employees under the age of 20. Being that four of the five U.S. teams are in Washington, and their players being ages 16-20, the bill could have serious consequences for the organizations and the league. The Washington Senate Commerce & Labor Committee approved of two bills on Thursday. The first allows employers to pay teens the federal minimum wage ($7.25 per hour) instead of the state minimum ($9.47 per hour) during the months of June, July, and August. The second bill allows employers to pay either the federal minimum or 85% of the state minimum (whichever is higher) during a teen employee’s “training period.” The bill neglected to mention how long a training period can last, but it did specify that only up to 10% of an employer’s staff can have this reduction. [quote align=’right’]Essentially, the NHL prospect scoring hat-tricks to the cheers of thousands of paying fans can legally be paid less than his team’s mascot, as long as the guy in the bear suit is at least 20 years old. [/quote]Serious stuff, but what does it mean for Washington hockey fans and their rivals down here in Stumptown? Essentially, it means the Everett Silvertips, Tri-City Americans, Spokane Chiefs, and Seattle Thunderbirds would all be exempt from paying the state minimums or any minimum stipend dictated by the league. Essentially, the NHL prospect scoring hat-tricks to the cheers of thousands of paying fans can legally be paid less than his team’s mascot, as long as the guy in the bear suit is at least 20 years old. Naturally, representatives from all four teams were present during the bills’ introduction during a committee meeting in Olympia, and they were all speaking favorably about the cost-cutting measure. While the WHL has some great ways of compensating players from housing, equipment, and medical expenses to the famous tuition program that pays for one year of college tuition for each season played, these Washington franchises should definitely take some perspective. The tuition program is the main way WHL teams attract players away from the promises made to them by NCAA teams, but it may look less attractive if there’s a possibility that a Bantam draft lands the young star in a Washington city. This is on top of a major investigation into possible labor law violations by the very same Washington teams earlier this season, spearheaded by public sector union Unifor. The Canadian organization has been lobbying for the rights of major junior level players and attempting to unionize them for years. CHL Commissioner David Branch and many team owners are still adamant that the players are amateur student athletes who are not paid for their prowess on the ice, but rather granted stipends and paid expenses while they hone their skills in preparation for college leagues or major leagues like the NHL. I, personally, would ask Branch to explain if any compensation is given for personal appearances, merchandising with their names attached, and likeness rights in video games such as EA Sports’ recent NHL ’15 (which features the entire CHL). I seem to remember this being an issue for NCAA football players who are considered “amateur student athletes” regardless of the three-digit ticket prices and advertising revenue associated with their for-profit team. Branch and the other bigwigs do make a good point that if wages in the league were to become somewhat standardized, it would kill lots of organizations that play in small markets with less than three thousand attendees per game. As a Winterhawks fan who recently stood in the Moda Center with almost eleven thousand others, I have little to say on the matter. But maybe an unsustainable market and the monetary woes of a junior league team owner shouldn’t be blamed on the $55-per-week penance being given to twenty-five guys…which totals to about $5500 per month and $38,500 for the regular season. That’s probably less than half of the salary of one shoddy accountant working for these teams.